Research and teaching are both fundamental aspects of traditional university identity especially in Europe. With mass education, however, have all institutions of higher education the time and money needed to pursue high level scientific investigations? With the increasing costs of equipment, research teams and innovation practices, can the universities grounded in research find the time and money to care for large groups of students? How do these two functions oppose or support each other, how does their combination help profile each institution, considering that all universities have developed a specific understanding of their social role both in teaching and research in function of their size, competences and place in society? How does this affect the autonomy of the institutions and the freedom of the academics to pursue an original path of development and what does it mean as far as accountability i.e, social integration - is concerned? The problem is more complex than a simple duality of objectives asking for priorities to be taken by university governing bodies; both research and teaching have a long tradition of their own and their cross fertilisation has never been an evidence except in official speeches. Indeed, society has set up over the years other institutions dedicated to research and other schools developing teaching. Very often, they are better endowed that universities and offer results in a rather efficient way. Universities combining diverse functions are not necessarily as proficient and economical as such outside competitors. They then have to justify their multiple identity not only in economic terms but also in terms of intellectual growth for the long term future of societies open to the renewal forces of original thinking and unexpected developments. That is why Michael Gibbons called for institutions to search in their own bowels the strength and vitality giving them social meaning what he calls the need for in-reach after the plea made in recent years for the universities to develop their out-reach capacity. Openness and capacity to innovate start from the inner strength of academia rather than from the imposed needs and obligations dictated by society. This capacity to be rather than to have is no easy task, however, and Paolo Blasi showed how the system tries to guide scientific development and scientific renewal also through the people trained in higher education; in other words, he dwelt on the ethics and deontology linked to academic professions, be it in teaching and research. This led to a discussion of the temptations of malpractice which academics could fall prey to for the sake of prestige, money and power a topic long explained in the background document of Prof. Ulrike Felt. The third main speaker was Peter Magrath, for the National Association of State Universities and Land-Grant Colleges in Washington: is the balancing of teaching and research as specific to university identity managed in similar or different ways on both sides of the Atlantic. In fact, beyond apparent differences in terms of wealth and capacity to teach and investigate, universities based on the Western model of thought know of enough similarities to call for some kind of transatlantic reflection on their shared constraints and common future. 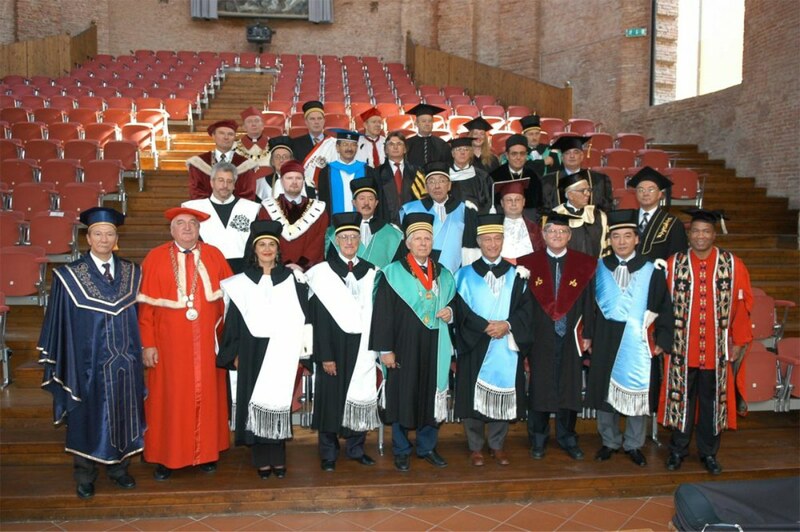 This point was certainly made clear in the debates and the Observatory of the Magna Charta has decided to keep an American counterpoint in its discussions on the fundamental nature of universities as called for in the document signed in 1988 at eh occasion of the 900th anniversary of the University of Bologna.